…until I read in 1 Samuel 14 about Jonathan’s determination to fight for the Lord in the face of his father’s hesitant desire stay pulled back from the Philistines. “…for nothing can hinder the Lord from saving by many or by few.” (vs7) pulls at me to stay the course with my reading, even if I *am* behind. 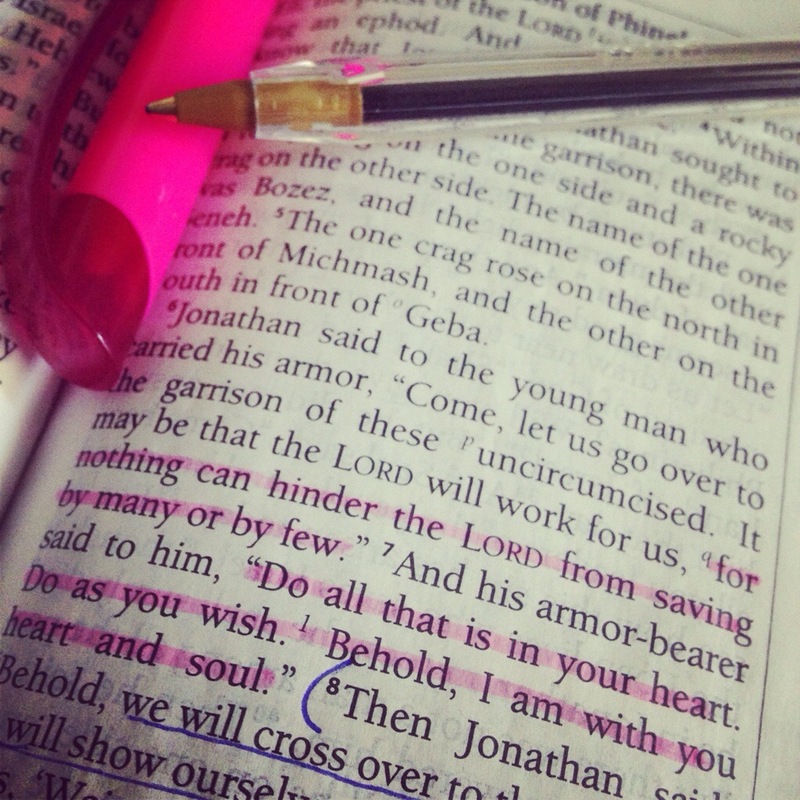 He whispers to me, calling me to be like a courageous Jonathan instead of a worried Saul. The warning was given in chapter 12…the warning that even the King must obey the commands of the Lord…and Saul just. didn’t. listen. When it came time to offer a sacrifice to the Lord, Saul took control and sentenced himself (and his son) to death. He thought he had good reasons – Samuel was taking too long, the people were discouraged and leaving, the battle was waiting for them – all perfectly acceptable reasons to take control of the situation. 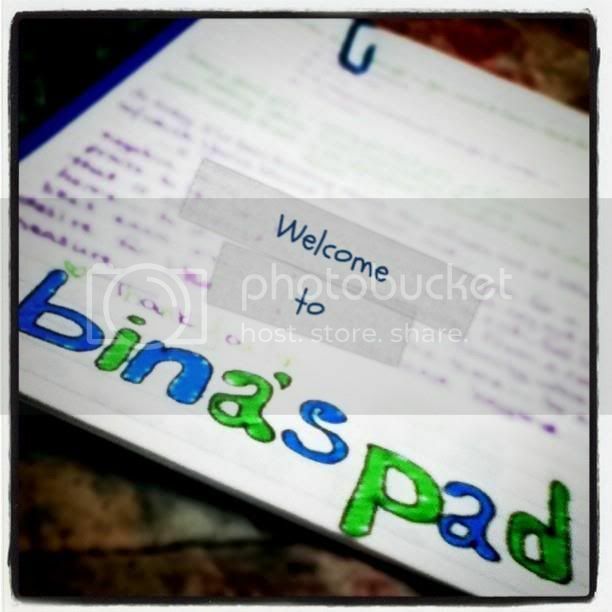 And, if I am being honest, I would think so – because I do the very. same. thing. I wrestle control out of God’s hands all the time, for much the same reasons as Saul did…and the consequences are disastrous. 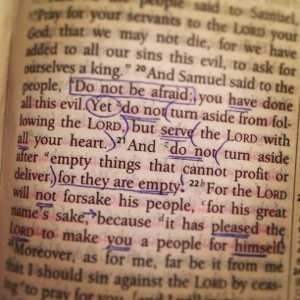 For Saul, it means his rule will be broken off…for me, there is a break in my relationship with God. 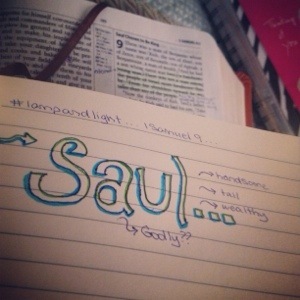 The #lampandlight 31 Day Scripture Challenge has truly been a blessing to my heart. 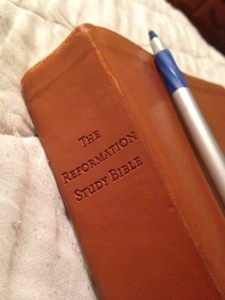 It is amazing how much of myself I have found in 1 Samuel…especially since I chose it on a whim! As someone who hasn’t been as faithful as I would like lately (when it comes to being in the Word and actually applying it to my daily life)…I am moved to fall more deeply in love with a God who loves like this. I am one who needs to hear “Don’t let the mistake dictate your relationship with Me“…because I am one who typically finds a place to hide because I “messed it all up…again”. 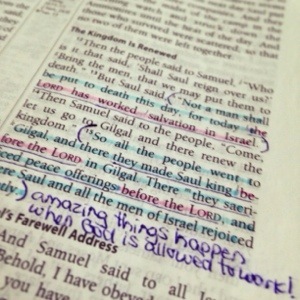 1 Samuel 11 is like an “aha moment” in the nation of Israel. Their king has a heart focused on God and so, when trouble comes, the power of the Lord is shown in Saul’s responses and in the battle victory for Israel. Saul clearly sees God’s hand at work, saying “…for the Lord has worked salvation in Israel.” (vs13). Saul is chosen by God to be king. He has now been anointed with oil by Samuel, confirming his place as leader of Israel. But God goes a step further…He promised him a series of complex signs to prove to Saul that God Himself has moved in his favor. 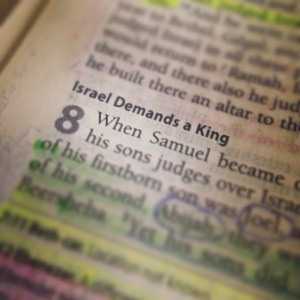 The signs all come true and Samuel shows up to announce Israel’s new king…and he is nowhere to be found. After some searching, God reveals that the newly named leader of Israel can be found…hiding among the luggage. 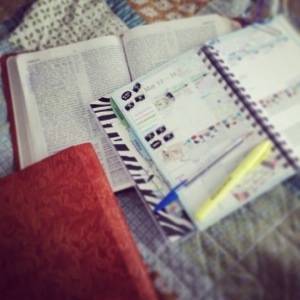 How often does God make me promises and cause all the “signs” to fall into place so I am reassured of His calling…only to find me hidden with all my old baggage, too afraid to come out? When Israel demanded that they have a king in chapter 8, they said they wanted this leader so they could be like other nations. (1 Samuel 8.5,19-20) Having no concern for God’s opinion of them, they now seek to be like everyone else…and based on that, Saul will be every bit of the leader Israel wants. The sad part of this is that Saul will not show even a hint of what Israel really needs…and they don’t care. Samuel does, in great and graphic detail, but the blinded response of a people set on what they want to do is the same: “give us a king…one that we can see“. Did His heart break at this? I am flooded with realization of the injury I have inflicted upon the heart of the very One I have rejected in the pursuit of my selfish desires.